all the infomation you need to get started. Providing high quality, convenient care is our primary goal. 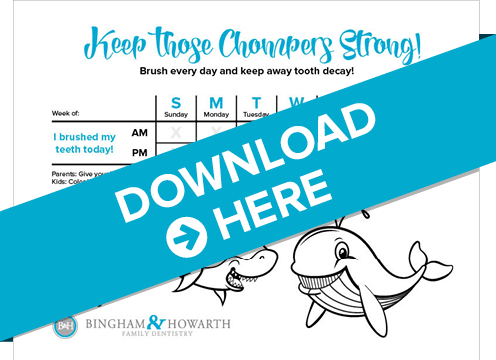 We provide easy to download forms so you can fill them out and bring them to your appointment. We ask that you give our office at least 48 business hours advance notice if you are unable to keep an appointment. Your family dentists in Tulsa will accommodate extenuating circumstances, however a failed appointment fee may be assessed for habitual short notice or “no-show” appointments. Late cancellations or “no shows” are costly to all parties and prevents our Tulsa dental center from serving our patients’ needs. Patient payment is expected at the time service is rendered. Patients with dental insurance are expected to pay their estimated share on the day of service. We will continue to provide the service of filing your claim for the estimated insurance share. If your insurance does not pay the estimated amount, we will bill you for the difference. We offer high-level services for the whole family - services you can trust. 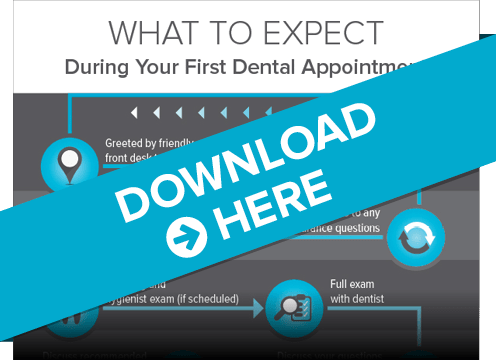 How can you prepare for your first visit? Here is a step-by-step guide on what you can expect to experience on your first visit with the team. Typically, yes. Depending on your situation, we won't always schedule you for a cleaning. If you are in need of immediate assistance due to an emergency, we will schedule you right away and address the issue. After that's resolved, we can schedule you back for a cleaning and a regular exam. Absolutely! We always look forward to meeting new patients. Whether you're looking for your dental home that will provide regular cleaning and exams or to help you get out of pain, we are here to help! If I have recent x-rays, how can I get them? Just give us the name of your previous dentist and we can contact them for you. Sometimes they may ask you sign a consent form before they can transfer any information to us. To ensure a smooth transition, make sure you contact them about it first. Do you see people of all ages? Yes, we do! We are a family dentistry office as well as a cosmetic dentistry office and offer services for all members of the family. For an emergency, we will do our best to see you soon. For a routine visit, depending on the flexibility of your schedule and ours, we will usually try to get you in as soon as our schedule allows.